President Trump Says U.S. Will Impose More Sanctions On North Korea, But How Effective Will They Be? : Parallels The Trump administration is increasingly using economic sanctions to try to influence behavior in North Korea, Venezuela and Russia. But the strategy doesn't always work — and can backfire. An undated picture released by North Korea's official Korean Central News Agency on Sept. 16 shows North Korean leader Kim Jong Un inspecting a launching drill of the Hwasong-12 ballistic missile at an undisclosed location. Kim vowed to complete North Korea's nuclear force despite sanctions, state media reported. In September, Trump announced sanctions aimed at crippling North Korea's banking system, shipping and trade networks. The administration has also been going after individuals and firms in other countries doing business in North Korea — especially in China. "The perception," says Stephen Heifetz, a Washington lawyer who has worked in both Republican and Democratic administrations on foreign investment strategies, "is that without Chinese dealings with North Korea, that would really put a squeeze on the North Korean economy." The Trump administration now appears to be inching toward punishing medium or large Chinese banks, which would be "a game changer," Heifetz says. "If [a] Chinese bank is on the U.S. sanctions list, large institutions around the globe are likely to stop doing business with that Chinese bank," he says. He believes that could have a cascading effect. The U.S. financial network is central to the global economy, and the dollar is the world's currency of choice. An effort to isolate one or more of China's large banks from the international market would be a significant blow to Beijing. But Anthony Ruggiero, a North Korea specialist with the Foundation for Defense of Democracies, says it could also backfire. "I think they would probably call our bluff on that," he says. Targeting Chinese banks could force Beijing to retaliate — perhaps even imposing its own sanctions on U.S. banks doing business in China — and fuel a trade war. Ruggiero says that possibility is not lost on the Trump administration. "That's what I think is likely going on inside the administration," he says, "is this internal debate on what happens next. That's one reason it hasn't happened." Last month, the State Department issued a list of Russian firms and intelligence agencies that could face sanctions in the new year. And the administration has ratcheted up pressure on Iran over its nuclear program. 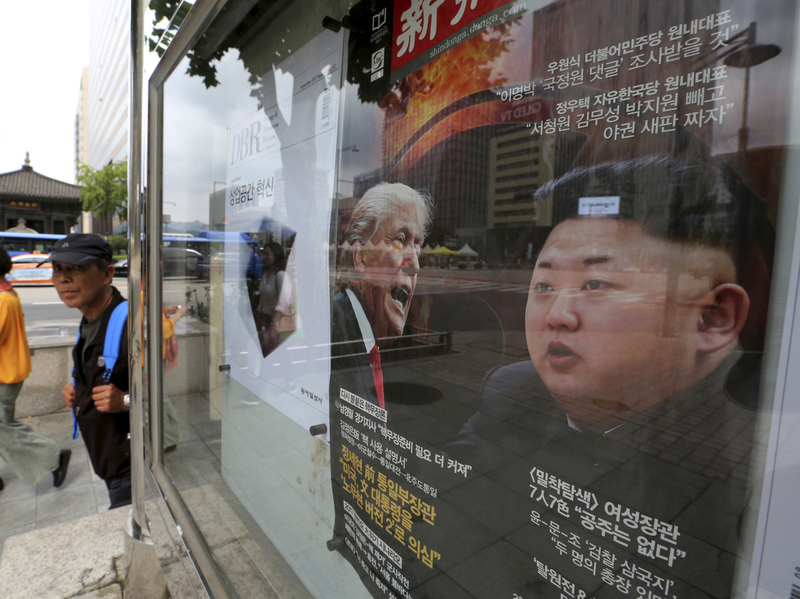 A South Korean news magazine shows cover photos of President Trump and North Korean leader Kim Jong Un and a headline "Korean Peninsula Crisis" in Seoul in September. "I think where we are now is that sanctions ... are central tools of statecraft in order to try and change behavior of those targeted with those measures," says Juan Zarate, a former deputy national security advisor for combating terrorism in the George W. Bush administration. Zarate, the author of Treasury's War: The Unleashing of a New Era of Financial Warfare, says economic sanctions are an important diplomatic and national security lever for the U.S.
"Overall these are sanctions and measures intended to coerce, intended to change behavior and ultimately affect the bottom line of the actors that are being targeted," he says. Gary Hufbauer, a trade expert at the Peterson Institute for International Economics, says the U.S. has led the way in the use of sanctions since the Second World War. Hufbauer has studied sanctions for three decades, and says he's seeing a marked increase in their use over the past few years. "These days, it's almost essential to use economic sanctions when you have a disagreement with a foreign country, prior to doing anything in the military or even the covert operations sphere," he says. Hufbauer points to the use of sanctions by the Obama administration and other countries to help bring Iran to the negotiating table for the landmark 2015 nuclear deal. The U.S. imposed secondary sanctions on foreign companies and banks that were helping prop up Iran's economy and nuclear program. The Peterson Institute's Hufbauer says more countries — including Russia, the European Union, and China — are now following the U.S. and using economic sanctions in general as a way to achieve foreign policy goals. 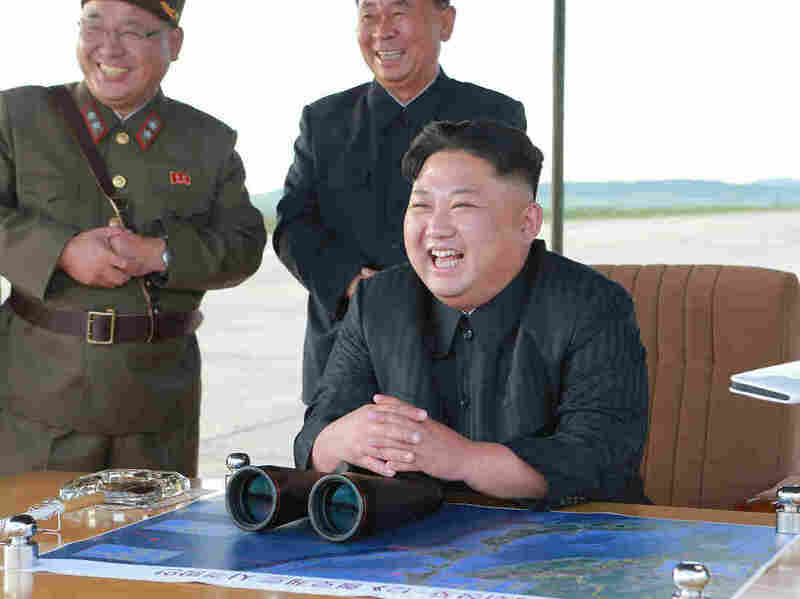 It's not certain if tightening the financial screws will stop bad behavior by North Korea, which has continually found ways to evade sanctions. Hufbauer says the effectiveness of sanctions is mixed. In the past, they helped lead to regime change in parts of Latin America and Africa, and helped bring Iran to the negotiating table for the 2015 deal. But historically, sanctions don't work on dictatorships, he warns. "It's really hard to get autocratic governments to change with the use of sanctions," he says. "And there is no autocracy which is more autocratic today than Kim Jong Un's dynasty in North Korea."